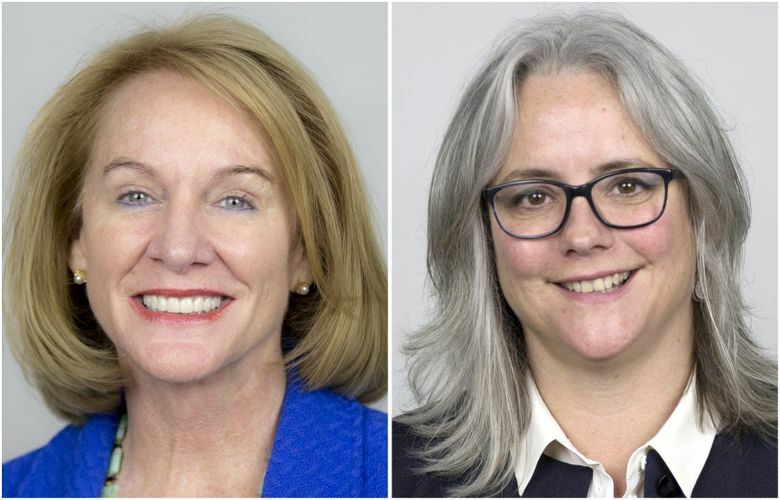 Seattle mayoral hopeful Cary Moon hit back at opponent Jenny Durkan Tuesday as the candidates sparred over how the city should deal with its affordable-housing shortage. Seattle mayoral candidate Cary Moon returned fire Tuesday after opponent Jenny Durkan criticized a push by some local leaders to crack down on real-estate speculators, who may include people from overseas who don’t live in the homes they buy. “It’s disappointing to see our opponent defending profiteers and Wall Street interests who are inflating Seattle’s housing market for their own gain,” Moon said in a statement. With Moon and Durkan staking out ground after the Aug. 1 primary, Seattle’s affordable-housing struggles are emerging as a point of contrast. Seattle officials grappling with home-price and rent increases have been debating whether to follow Vancouver’s lead. British Columbia enacted a 15 percent tax on foreign buyers in metro Vancouver a year ago, while a 1 percent tax on unoccupied homes, passed by Vancouver officials in November, took effect last month. The jury is out on whether overseas buyers and empty homes are a significant contributor to Seattle’s housing woes. There’s no hard data, though surveys have found the region popular among foreign investors, particularly those from China. City lawyers think Seattle lacks the legal authority to impose taxes like those now covering Vancouver. Some officials, like Moon and City Councilmember Lisa Herbold, want the city to collect information on what they believe may be a major problem, while others are skeptical and say that effort could stoke anti-Asian sentiments. Herbold and King County Assessor John Wilson have clashed on the topic, with Durkan backing up Wilson.